3-14 November 2014 a short course in New Approaches in Land Administration and Cadaster was organized in Mozambique at the Institute for Land Administration and Cartography (INFATEC). A group of 20 teachers from this vocational training institute participated in this training- of trainers program offered by the School of Land Administration Studies, Faculty ITC, University of Twente, the Netherlands. 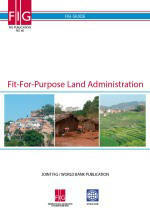 The FIG office supported the course by making available relevant FIG Publications including the recent publication on Fit-for-Purpose Land Administration. The publications served as excellent teaching material as was reflected in the lively debates in class about the fit-for-purpose concept. It inspired the teachers of INFATEC to strengthen their program in land administration and cadaster. The participants and course organizers from INFATEC and ITC – University of Twente are therefore very grateful to FIG for supporting the course by sending copies of the publications for all participants. We are pleased to invite you to the 3rd FIG Young Surveyors European Meeting in Sofia, Bulgaria. The meeting takes place Saturday 16 May 2015 prior to the FIG Working Week 2015. FIG Council 2011-14. VP Rudolf Staiger, ACCO rep Yerach Doytsher, Incoming President Chryssy Potsiou, VP Pengfei Cheng and President CheeHai Teo. Vice President Bruno Razza was not present. Altogether 160 participants attended the event. Again this year FIG will be at 7-9 October 2014. Visit us at stand D1.014. Claudia, Hanne and Louise from FIG office will be looking forward to seeing you there. Come by or book a meeting in advance at fig@fig.net.Have a talk about FIG and about the next Working Weeks that will take place in May 2015 in Sofia, Bulgaria and May 2016 in Christchurch, New Zealand. Check your sponsorship possibilities. The UN-HABITAT Global Land Tool Network, International Federation of Surveyors (FIG) and FIG Young Surveyors Network would like to invite Young Surveyors, Young Land Professionals and Youth working in related fields to apply for participation in the Social Tenure Domain Model – Training of Trainers. Deadline to apply is 12 October 2014. More information. Invitation. The FIG Foundation will be providing scholarships of up to 4,000 euros to PhD students. Deadline for application is 1 February 2015. Read more..
he FIG Foundation will be providing research grants of up to 30,000 euros spread over three years. Deadline for application is 31 March 2015. Read more.. The FIG General Assembly was held 16 and 21 June in Kuala Lumpur in conjunction to the FIG Congress 2014. At the first session of the General Assembly changes for the statutes were elected hereunder a change in voting rights. Two elected FIG Vice Presidents 2015 - 2018: Rudolf Staiger, DVW, Germany and Diane Dumashie, Royal Institution of Chartered Surveyors, United Kingdom. The 2nd FIG Young Surveyors European Meeting in Berlin, Germany on 7th October 2014 is jointly organized by FIG Young Surveyors Network and KONGEOS (Conference of Geodetic Students) supported by FIG, FIG Foundation, CLGE, DVW, BDVI and OE. Invitation. The 2014 Workshop with the overall theme "Geospatial Crowdsourcing and VGI: Establishment of SDI & SIM" will be held in Bologna Italy 4-7 November 2014. At the same event Commission 3 will also hold it's annual meeting. Deadline for full papers for referee and for abstracts for other papers: 7 September 2014. The Commission 7 team, in close collaboration with the Canadian colleagues and the Fédération des géomètres francophones (FGF – the Francophone Federation of Surveyors), is preparing this year a unique event which will take place in the Old Quebec City, Canada, a UNESCO World Heritage. FIG Commission 7 Annual meeting will be held in conjunction with the conference. One of the most significant technologies to emerge in recent decades has been Global Navigation Satellite Systems (GNSS). The rise of such a global technology has highlighted the need for countries to move from locally defined geodetic datums to more global datums based on the International Terrestrial Reference Frame. This FIG publication is a response by Commission 5 to this trend by bringing together a series of fact sheets to better inform surveyors about some of the key issues they need to consider as they realign and upgrade their professional knowledgebase. Editor is Graeme Blick and authors consist of Graeme Blick, Chris Crook, Nic Donnelly, Roger Fraser, Mikael Lilje, David Martin, Chris Rizos, Daniel R. Roman, Rob Sarib, Tomás Soler, Richard Stanaway, and Neil D. Weston. for some time, and the Global Land Tools Network (GLTN) developed a model to accommodate these social tenures. 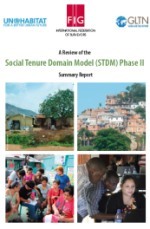 It is called the Social Tenure Domain Model (STDM). FIG undertook a peer review of the STDM and commissioned key, internationally recognized academics, researchers and practitioners who are regarded as experts in the land sector and who are from FIG’s membership base. 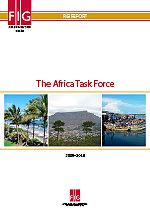 Chair of FIG Africa Task Force, Dr. Diane Dumashie, is author of this FIG Report which presents the objective and work design of the FIG Africa Task Force (ATF), identifies the interlinking themes, summarises the contents and outcome of each workshop and make recommendations for the way forward. The FIG Africa Task Force was established at FIG’s 32nd General Assembly held in Eilat, May 2009. 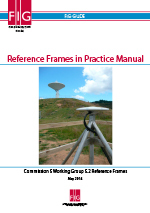 Commission 4 Working Group 4.1 has just published this FIG Guide. Authors are Jerry Mills, chair of the Commission 4 Working Group and David Dodd, Technical Expert to the Working Group. Commission 4 Chair, Michael Sutherland, writes: "Many of the groups using ERS techniques have developed their internal Standard Operating Procedures (SOP) through in-house experience and trial-and-error testing. It is this wealth of group information that is being drawn upon to help develop a set of “best practices” for the hydrographic industry. 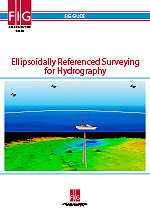 The development of ERS best practices is being conducted by International Federation of Surveyors (FIG) working group 4.1 under Commission 4 and will be shared with the IHO for possible inclusion in International Hydrographic Organization (IHO) publication C13, Manual on Hydrography. and research institutions. Now a new FIG report has been published as a follow up on the original publication, edited by Daniel Steudler and supported by Federal Office of Topography swisstopo, Wabern, Switzerland. 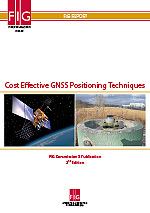 Cost Effective GNSS Positioning Techniques, FIG Publication 49, originally published in 2010 is now available in an updated 2nd edition. The publication is a FIG Commission 5 publication and is written by Dr. Neil D. Weston, United States and Prof. Dr. Volker Schwieger, Germany. FIG Commission 5 Chair Mikael Lilje has written the foreword. 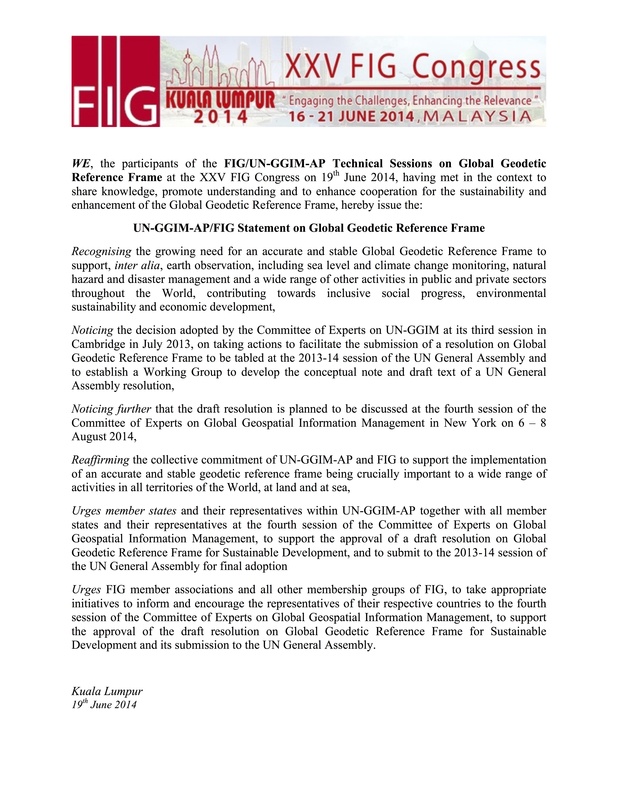 The FIG General Assembly will be held 16 and 21 June in Kuala Lumpur in conjunction to the FIG Congress 2014. The main issues on the agenda will be election of FIG President and two Vice Presidents for the period 2015-2017 and election of venues for FIG Working Week 2017 and FIG Congress 2018. There will also be voting to amendments of the statutes. The agenda is now available and the FIG Office has sent an invitation and hard copy of the agenda without appendices to all members. The 2014 Land and Poverty Conference was attended by over 1,200 participants over four days, and FIG and the Bank jointly and successfully organized a day-long Forum on “Spatial Innovation and Good Practices” on the fifth day. The overall focus was on the Post-2015 UN Development Agenda. 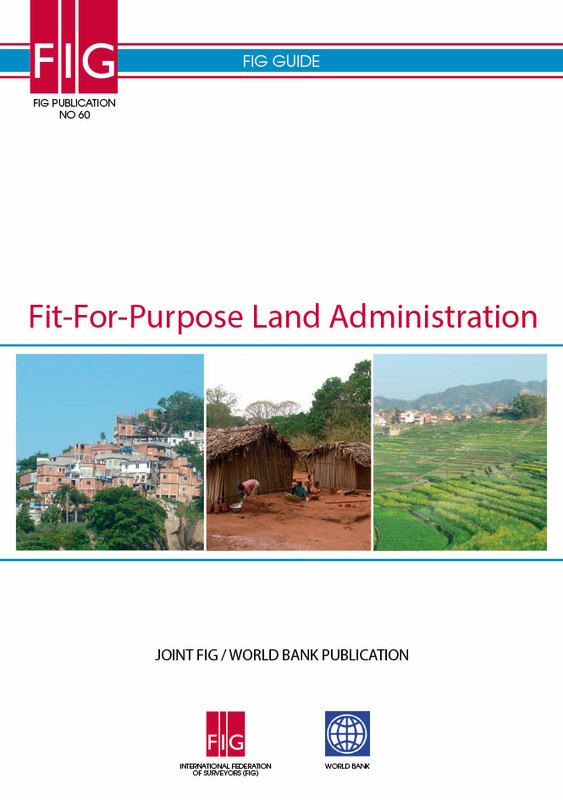 The Forum witnessed the launch of the joint World Bank and FIG Declaration on Fit-for-Purpose Land Administration providing the framework on getting the right data and information, the right processes and technologies, all for the right purposes. Julie Hyun Sook Lee has communicated with many in the FIG community during her 1-year stay at the FIG Office I have spent a year in FIG office in Copenhagen, Denmark and am about to leave this beautiful country. 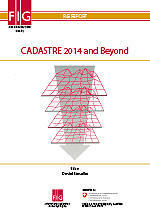 When I was a freshman in University I have studied about “Cadastre 2014” and “FIG” from the text books and journals. I had no idea what would happen in 2013 to me! My Company (LX Korea Cadastral Survey Corp.) and Korean government had a long term plan for capacity building with International relationship with many other organizations such as World Bank and UN, and of course with FIG! Our former president, Young Ho, Kim, had an idea how to contribute from Korea to help the FIG Office. We stunned and hoped to get a chance to have an opportunity to get an internship in FIG. Be part of the FIG Young Surveyors 1st North American Network Meeting! Santiago Borrero has served for ten years as Secretary General of PAIGH After ten years serving as Secretary General of PAIGH, Pan American Institute of Geography and History, Santiago Borrero, Colombia, stepped down from the post on 7 February 2014. PAIGH, a sister society to FIG, is a part of the Inter-American system coordinated by the Organization of American States – OAS. Santiago Borrero says: "It has been a great personal and professional experience and I hope I have contributed to the institutional development of the Pan American specialized community working in the areas of geospatial information, governance and development". Rodrigo Barriga, Chile, is taking over the position as Secretary General.